Summer is in full swing, and that means most of us are firing up that backyard grill. 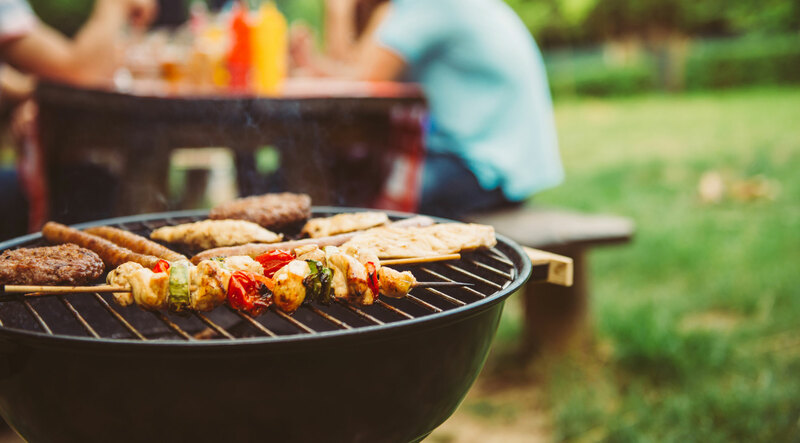 If you are shying away from grilling, or just want a refresher course on the basics of grilling, then keep reading. Here are Swap-O-Rama’s top 10 tips for excellent summer grilling. 1: Start with a clean grill. Don’t let last night’s salmon skin impart a fishy-char flavor to tonight’s chicken breasts. Use a sturdy metal brush to clean the grates in between uses. (This is easiest when the grill is hot. Vegetables dry out when they hit the heat without a little oil. 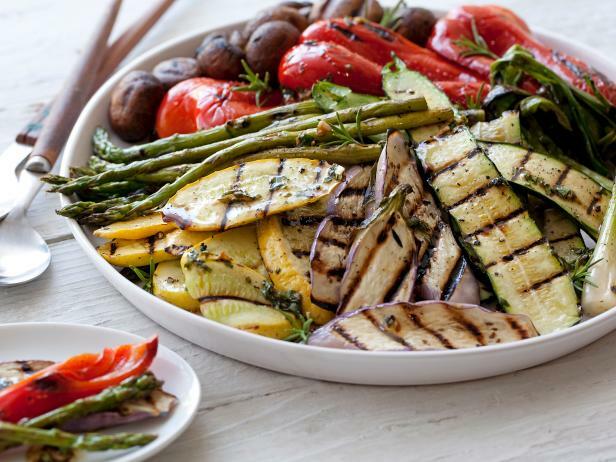 Before putting the veggies on the grill, toss them with a light coating of oil. Don’t use too much—it not only adds unnecessary calories, but dripping oil causes flare-ups and greasy flavors. Plus, tossing them in oil helps your seasoning stick more uniformly. Some vegetables take a minute or two to cook while others take longer. Denser vegetables, such as potatoes, will take the longest to cook. Keeping them over too-high heat for too long will char them on the outside while keeping them raw on the inside. To prevent burning, sear vegetables over high heat, then move them to a cooler part of the grill to finish cooking. You can also precook them and just give them a few minutes on the grill to get some color on the outside. Cherry tomatoes, zucchini rounds, and mushrooms are great on the grill, but they’re a little unwieldy. To keep smaller vegetables or pieces of fruit from rolling around or falling though the grate, pierce them on a skewer or use a grill basket. If you don’t have a grill basket, fold a 24-inch-long piece of heavy-duty foil in half and crimp up the edges to create a lip; this “basket” will prevent the food from falling through while they still get plenty of smokey flavor. How you cut your vegetables dictates how quickly they will cook. Cut them into smaller pieces if you want your vegetables to cook more quickly (and use a skewer to keep the on the grill). Cut round vegetables like onions or eggplant into thin “rounds”—you’ll get more surface area, which allows for a crispier outside, and because they’re thin, they’ll cook quickly. Cut long vegetables like squash or eggplants into planks (long, thin pieces) for faster cooking, or cut them in half for low and slow cooking over medium grill heat. Don’t feel like babysitting your vegetables on the grill? Try cooking them in packets instead. This method works great for dense vegetables like potatoes, sweet potatoes, or other root vegetables. Simply place a 24-inch-long piece of foil on the counter and lightly coat with nonstick cooking spray. Arrange thinly-sliced vegetables on a single layer, slightly overlapping, on the foil. Leave a two-inch border on all sides. Fold foil over and pinch the edges together, making a packet. Place the packet on the grill. Cover the grill and cook until the vegetables are tender (about 12 to 15 minutes, for potatoes). When you open a packet to check doneness, be careful of steam.